An artist sells his paintings outside the Prado. Spain's capital of Madrid was my last stop on a whirlwind trip through western Europe. The Prado (museum) houses a large number of masterpieces, and I recognized quite a few from my days of studying art history in college. It's now one of my favorite museums, along with the Musee d'Orsay in Paris (impressionists) and the National Gallery of Art's East wing (modern) in Washington, DC. My couchsurfing host also took me out to the popular La Latina nightlife area my last night. Really looking forward to Madrid on my RTW next year. Thanks for post! La Latina is great to start out in but Chueca and Sol are much more party-neighborhoods! Oh my goshâ€“how fortuitous! I’m heading to Madrid in October and these info just make me even more excited to go! As a traveler i love to travel different parts of the world. i love MADRID & padro is excellent. I’m planning a trip to Spain on July and I’m looking for accomodation advice. I’ll be staying in Madrid and studying Spanish for as long as it takes :) I’m traveling on a budget so I’m looking for cheap apartments in Madrid, any advice on that matter? 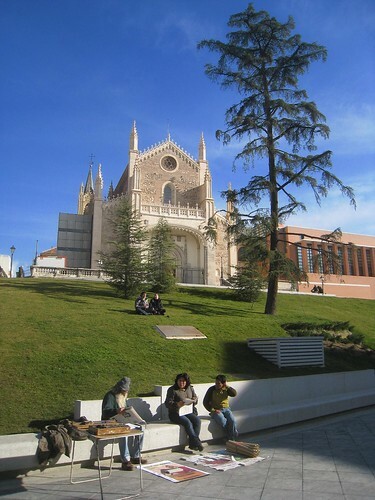 I’ve found tons of options at http://www.clickbed.com/general-information/cheap-apartments-in-madrid-1058lp.html but maybe you have better options for me. Thanks a lot!